Hit and hold greens with the specifically designed womens PING G Le combination set. The irons feature Cor-Eye technology to provide maximum ball speed and higher launch, to increase your distance, even on lower swing speeds. 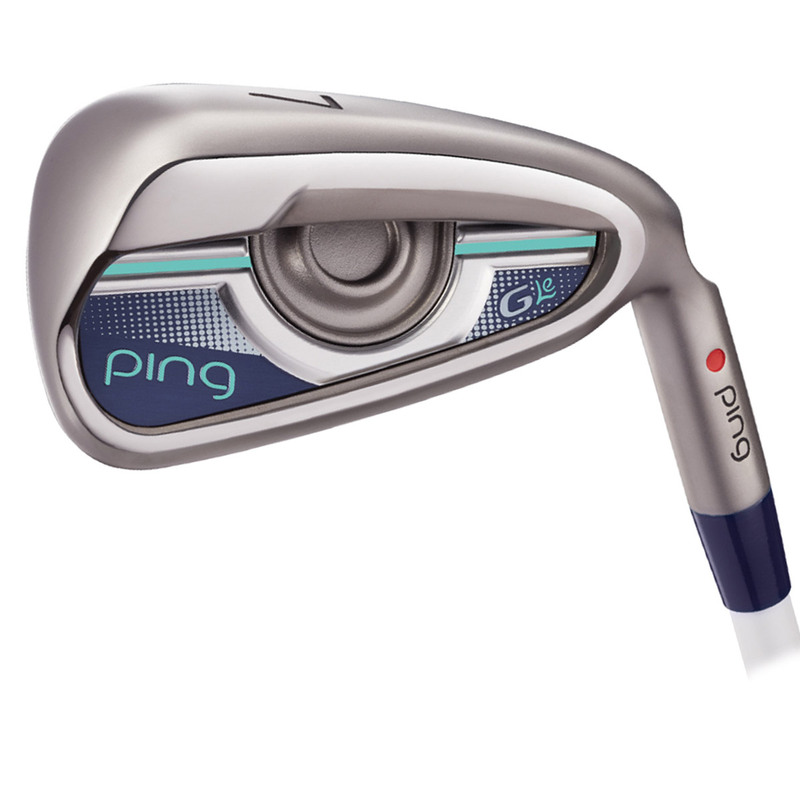 Plus a more forgiving G Le hybrid in the lower irons with a CarTech 455 face for greater distance and lighter swingweight positioned for more accuracy. The irons have perimeter weighting which has been concentrated on the toe and the hosel which increases the moment of inertia for accuracy and consistency. 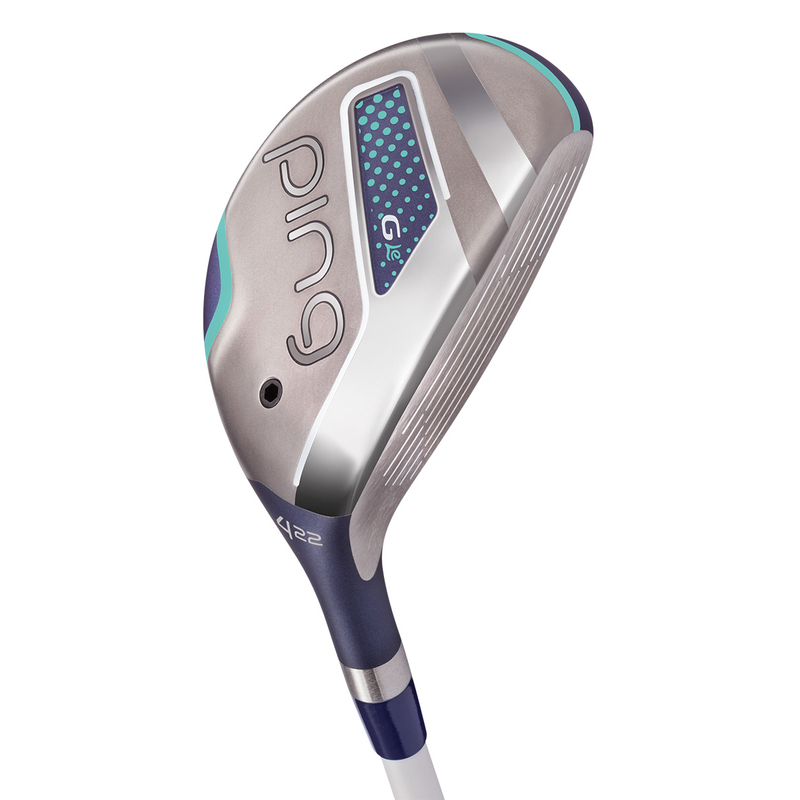 This high performing hybrid features a flexible face increased ball speed at point of impact for increased distance down the fairways, plus increases launch to make it more easier to get the ball in the air quickly. The design features a Thin Crown has been developed to save weight, for higher MOI and more forgiveness, with a more heel-sided CG and lighter swingweight which helps provide a more straight ball flight. This PING hybrid also comes with its own branded head cover.